Switzer has been delivering their base P600 package to customers over the last few years. In this latest updated version of their popular P600 package, Switzer is putting together a balanced package of parts to pump the Nissan GT-R to 600 horsepower. The P600 includes a stainless steel exhaust, lightweight wheels, drop in filters, and engine and transmission management software, all backed by a 2 year warranty. Since introducing the car to the US as a 2009 model, Nissan has been steadily improving the R35 GTR in a number of ways - which is a good thing, considering they've raised the car's base price from $76840 to $96820 over the last 4 (four) years! That's a 25% jump in price, for those of you without calculators handy. Does the $20,000 jump in price make the GTR an also-ran in the budget supercar game? "Hardly," answers Tym Switzer, of Switzer Performance, "the GTR, even over 90K, is still an incredibly fast and well-balanced platform. For a hundred-thousand dollars, though, a lot of people seem to think it's missing something." That "something" can usually be summed up in one word: more. "It's not just about more power," continues Tym, "it's more in general. More sound. More handling. Just more fun, really. The ride on the run flat tires is really harsh, and they're heavy, so the car has much higher unsprung weight than it needs to have. That sort of thing makes the car feel even heavier than it is from behind the wheel, and that's not fun." 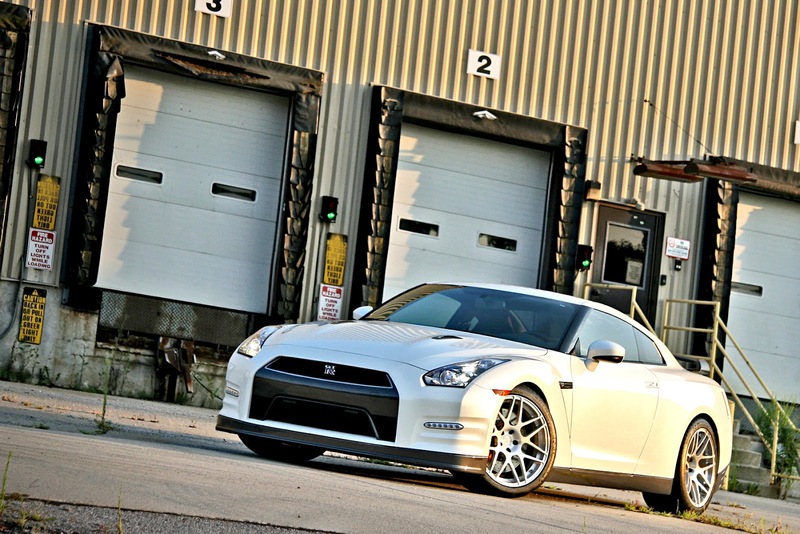 To help his customers get that little bit "more" that they're looking for from their GTR, Tym and his Ohio-based crew have built a number of 800-1000 hp street cars and even more powerful dragsters, but Tym is the first to admit "that kind of power and performance isn't for everyone." There was demand, though. Demand from customers who'd just bought their GTRs and felt like it was almost perfect ... but not quite. What was there to do for them? Tym's answer is the car you see here. 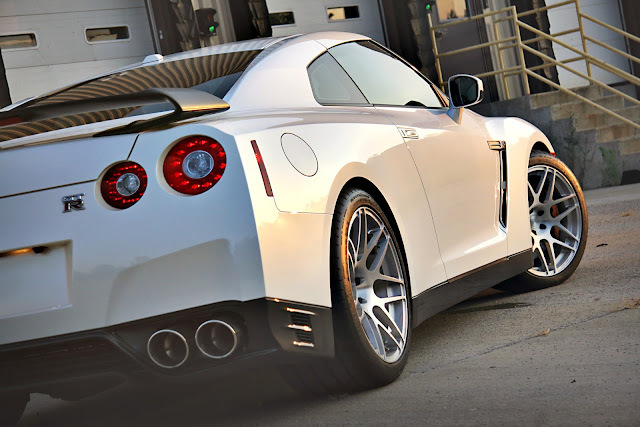 It's a 600 hp pump-gas conversion that improves the look, feel, and sound of the factory R35 by combining Switzer's free-breathing SS90 stainless-steel exhaust system and lightweight forged aluminum wheels with the company's high-flow drop-in filters and trick engine and transmission software to create a GTR that goes faster, corners better, rides more smoothly, and (to paraphrase a bit, in the name of professionalism) "sounds flipping awesome!" With over 50 more hp and nearly 100 lb-ft of torque over the factory GTR, Switzer's P600 models blast to 60 in about 2.6 seconds, and is more than 2.5 seconds quicker than the stock car from 60-130 mph. That's a 0.12g increase in linear acceleration across that 60-130 pull - about 24 lbs. on a 200 lb. man - for a difference that can truly be FELT as well as measured! "This is really only our second 'complete' model for the street," continues Tym, "after the Ultimate Street Edition. It follows the same principles as that car, in that it was built to be driven every day. It doesn't burn more oil or much more gas than the factory car. It idles smoothly, it maintains the factory cats, and because we've kept the turbos within the manufacturer's temperature and rpm ratings, there is no question of reliability down the road." Switzer stands behind those claims of reliability with a 2 year warranty on the P600 - the same as that on an Ultimate Street Edition, which features the same Switzer suspension and brake upgrades as the P600 shown here. "This P600 is really a great value," says Tym. "For some people, it'll be more than enough on its own, but for other customers it'll just be a first step towards building an Ultimate Street Edition. Either way, this is a car that really stands on its own as the sort of supercar GTR that I'm sure the Nissan guys would have liked to have built before the lawyers told them to slow things down." 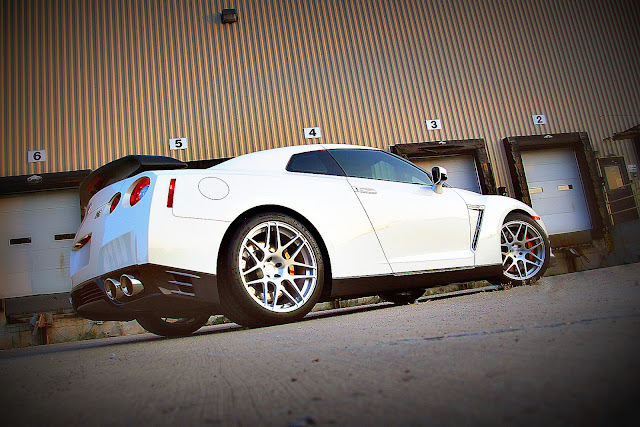 Switzer's P600 PKG, as shown here, adds $15990 to the sticker price on the Premium 2013 GTRs, making the finished, 600 hp street beast a real option for someone looking for a "special" GTR that's a little more unique than the factory's "Black Edition". For availability and scheduling information, contact Switzer Performance in Oberlin, Ohio.